Went to Home Depot and got some tubes, looked up how to paper mache online and away I went! 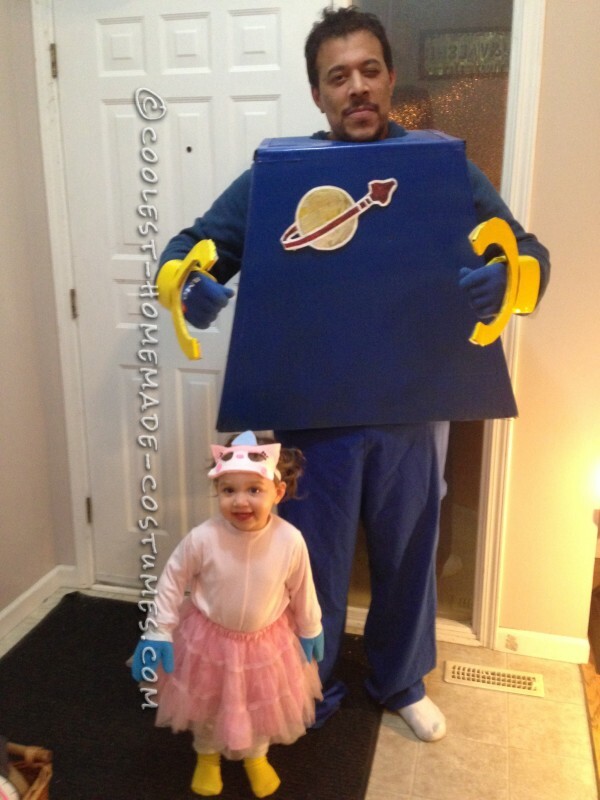 Kids and I loved the Lego movie so I started in August and built the costumes using cardboard lots and lots of spray paint and paper mache! Started with the bodies cutting the cardboard and duct taping the sides together. For the Batman head I used cardboard to construct the nose first and paper mached it. For the detail on the costumes most were done with colored duct tape (actually duct tape saved my life!). 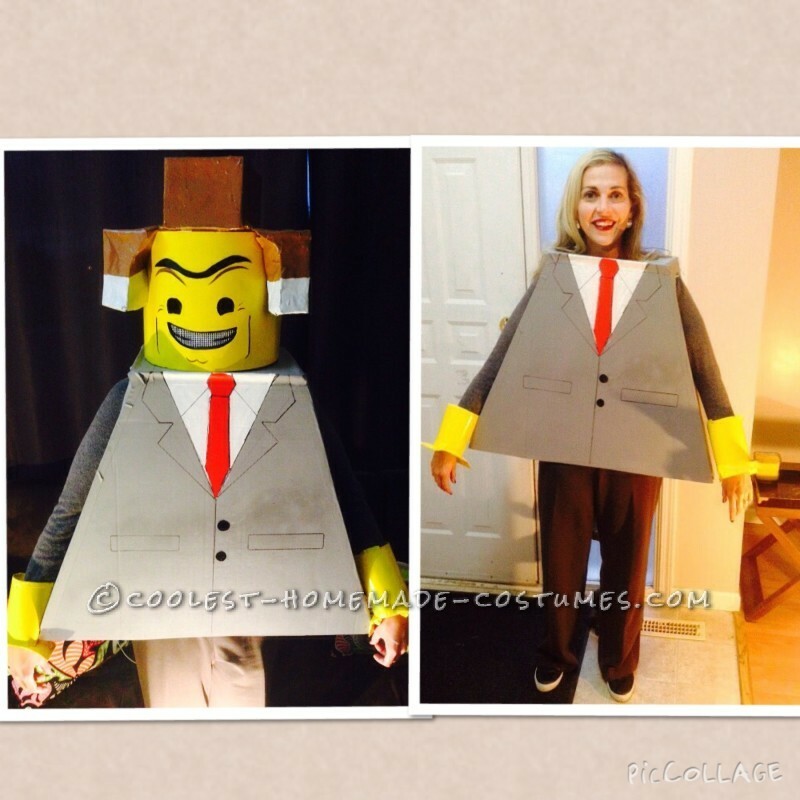 I measured all the kids for each Lego body and went to sears and got huge boxes from them. 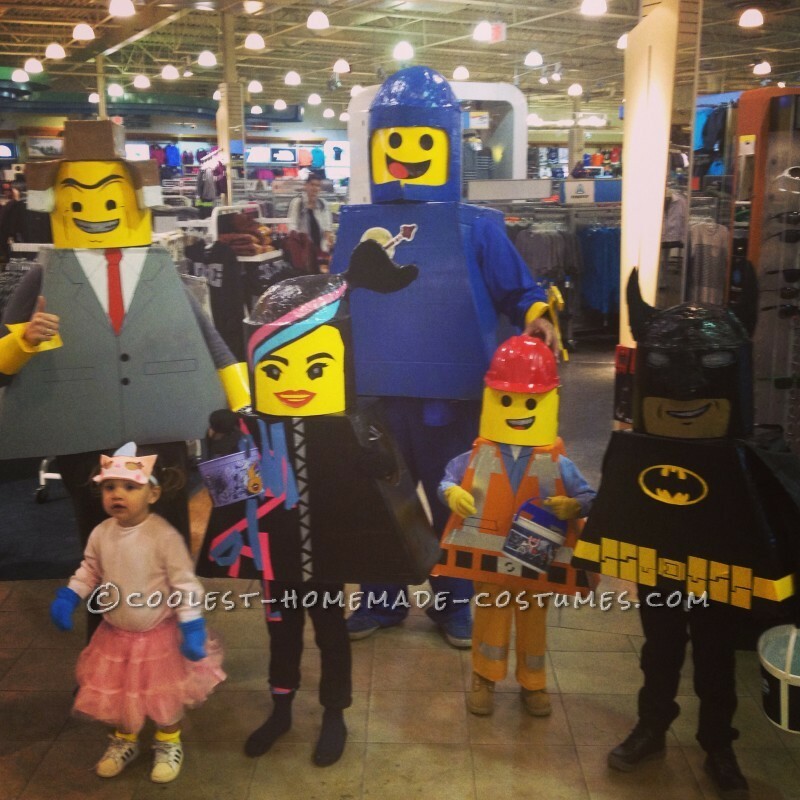 For the faces I found yellow glossy construction paper which was another life saver because it gave the costumes that real Lego feel. The hands were the biggest challenge and still something I have not mastered. When constructing the head like I mentioned earlier I got yellow concrete tubes from home depot and also measured everyone’s heads and cut each tube. I blew up a balloon in the tube and and cut strips of paper. 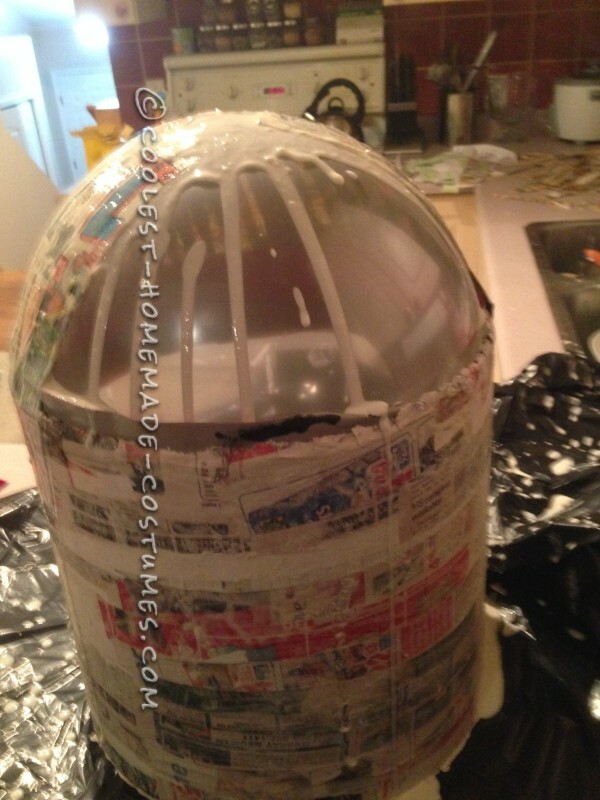 I watched a YouTube video to figure out the paper mache then allowed it to dry. 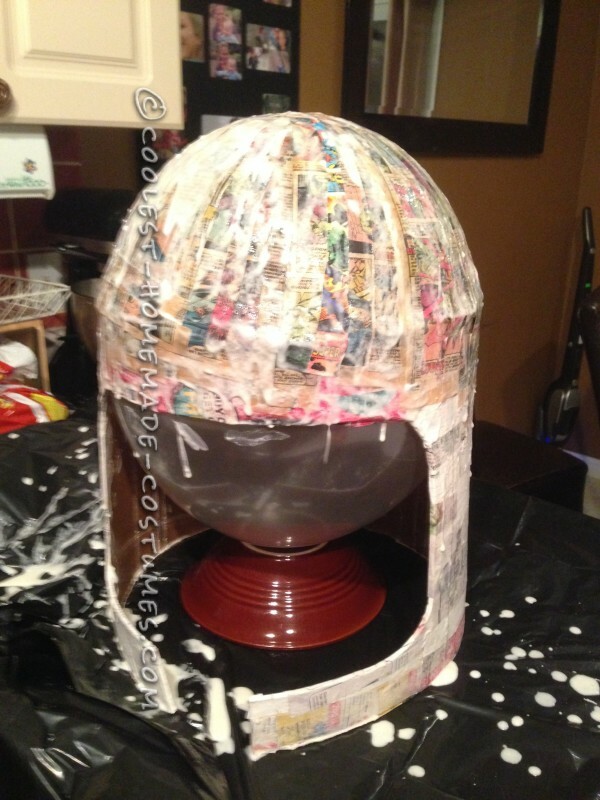 I also made Gesso which makes the paper mache part harden better (I used on online YouTube video for that as well). I had a Lego mini figure for a couple of the characters to get some detail but just turned to Google for most things. These were all made in my kitchen and living room – I built a section in my carport for a spray paint booth where I painted the costumes. I would say I had fun making them, I would start as early as you can so you can take time off if needed.